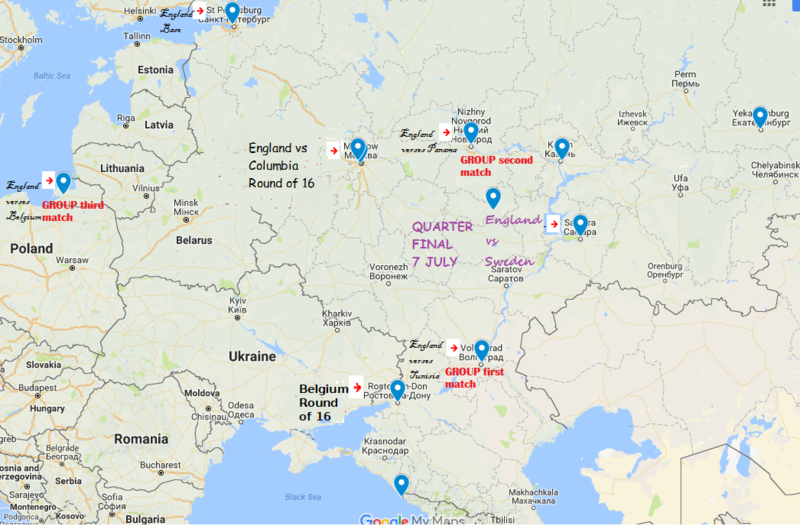 ← Russia World Cup 2018 ‘Quarter Final’ England will face Sweden – how are the odds looking? The feelings of English football fans ‘before’ this afternoon’s tussle with Sweden can best be summed-up by the quote “I don’t think us as a nation will get a better chance of gong all the way to the final” [Steven Gerrard (former England captain at 2 World-Cup tournaments, 115 caps over 15 years)]. In advance, this match looked as if it would be one of an irresistible force meeting an immovable object (as the paradox goes). England’s young confident exciting team were expected to stay calm, take the chances created, and do better than others (like Mexico, Switzerland, and even Germany) in breaking down Sweden’s incredibly hard defence, that has shown incredible united collective effort and organisation, so far. Well, it was indeed quite like that this afternoon, with Sweden’s double 4 trench of defence constantly thwarting England and frustrating their open-play attacks – nevertheless England got the breakthrough (unexpected?) with another set-piece goal (their 8th, a header from a corner) after half an hour, which understandably settled the team and meant they came out for the second half with their self-esteem up. Then England had a session when they were completely dominant over Sweden and that almost inevitably brought about a well-deserved ‘open play’ second goal with a header-in from a sweeping cross. There were a number of occasions though during the match when England fans had their hearts in their mouths as our defence went missing, giving Sweden clear chances of getting back into the game, and goalkeeper Pickford remarkable super-saves were at times the only thing that kept England on top [fully justifying manager Southgate’s ongoing faith in him – however, it is a mystery to many of us as to why he keeps his favourite Sterling in his line-ups despite the guy consistently missing finishing chances galore in front of goal (and committing petty fouls elsewhere)?]. Captain Harry Kane was definitely on the park today but seemed absent, so this was no-way a Golden Boot award display, was it? [The first Semi-Final is between France [Rank 7] and Belgium [Rank 3] Tuesday evening. The second Semi-Final is between England [Rank 13] and Croatia [Rank 18] Wednesday evening]. This entry was posted in community, europe, Football, media, newspaper, Other Countries, russia, Sport and tagged belgium, Columbia, croatia, England Manager Gareth Southgate, England's footballers, fa, FIFA World Cup trophy, finals, Football, football association, France, Golden Boot, Group G runner-up, Group G winner, Kaliningrad, managers, National team, Nizhny Novgorod, Nizhny Novgorod Stadium, Panama, Rules for progression, russia, St Petersburg, Tunisia, uruguay, Volgograd, world cup. Bookmark the permalink.